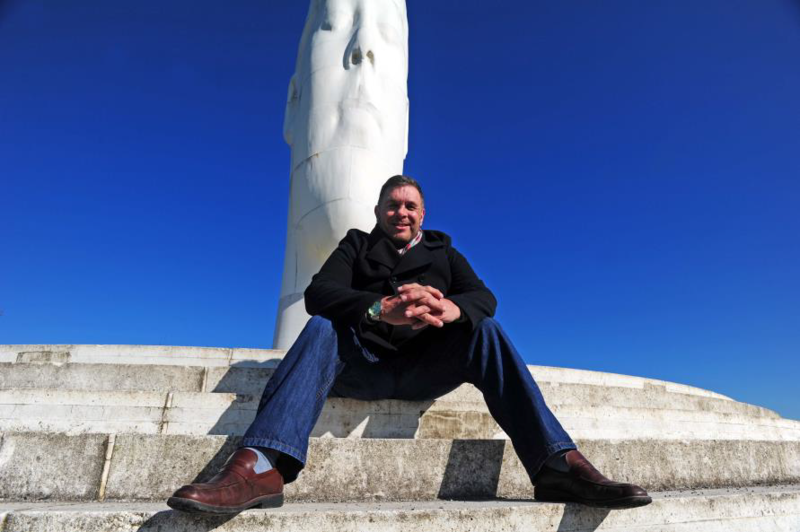 With next year marking the tenth anniversary since ‘The Dream’ sculpture was unveiled in St Helens, residents are invited down to Thatto Heath Library next month (June) to hear the story behind the borough’s symbolic landmark. Hosted by St Helens Council’s Cultural Co-ordinator For Adult Social Care and Health, Gary Conley – a former miner who was influential in bringing The Dream to the borough – audience members can discover what life was really life as a miner and learn all there is to know about the popular piece of artwork which sits at the top of the former Sutton Manor Colliery and represents a young girl dreaming of a better future. ‘Gary Conley: From the Earth Cometh Light – The Story behind Dream’ will take place at 2pm on Monday 4 June. The event is free to attend but places should be booked in advance by calling into the library, or by phoning 01744 677842. A new-look brochure which contains key facts about The Dream and a timeline of events starting from 1906, as well as free guided tours around the site, are now available to the public. The free brochure tells the unique true grassroots story of the birth of the colliery in 1906, the strike and the closure in 1991 – right through to The Dream’s involvement in Channel 4’s ‘Big Art Project’ – and contains information on how the original proposal of a miners’ lamp was turned down, as well as recent visitor numbers.